The music of Tus Pham came into my life unexpectedly, and I think that may well become a running theme of these blogs. This time, I was belting out some improvised chants at the Oneness Tribal Jam, when excruciatingly beautiful harmonies rose up and flew with my voice. It wasn’t long before I stopped singing so I could meet this singer properly. I was initially struck by Tus’ openness and wisdom as we entered into a deep conversation about our past experiences. It seems that through music and spoken word poetry, Tus has reached an awe-inspiring viewpoint after a long struggle on life’s road. In keeping with her peaceful nature, her first instance of writing was many years ago when she improvised a rap to diffuse an argument. She has been writing ever since, but mostly in private. You’d never guess this if you went straight to her YouTube channel. Every day, Tus posts a new video of her performing music or poetry. She has courageously set herself a challenge to share her talents with the world on social media every day for 365 days. With guidance from Maple Bee (life-changing music therapist) and David Litchfield (Ted Talks), she has recently embarked on this intensely creative journey of self-love and expression. The videos include mini challenges, appliances used as instruments, various locations and a few collaborations. 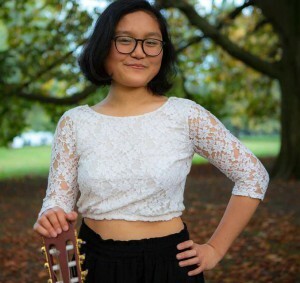 She’s always looking for more musicians to jam with, so do add her on Facebook if you’re up for helping her achieve her dreams: https://www.facebook.com/tuspham. Seriously, she’s worth it. I’ll be joining her on Tuesday for a video, so watch this space!